Today's real estate market provides opportunities for those buyers willing to do some legwork. Many houses are in various stages of foreclosure. Finding the status of a house and negotiating to buy that house can provide huge savings for those in the home market. House status is not always evident from the curb. Many do not have "For Sale" signs in front. Finding the status of a house involves trips to see county officials about ownership and numerous phone calls. The work can be worth it for both the owner of the house and the proposed buyer. 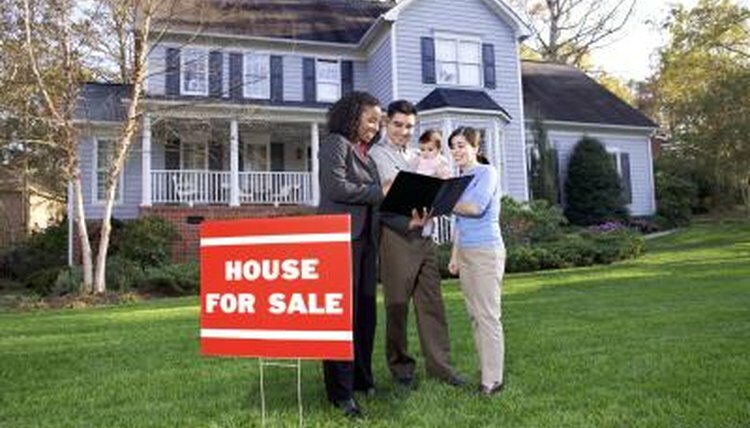 Locate a house in a neighborhood of interest. Note the street address, community or subdivision name and area. Determine what county the house is located in. Go to the county assessor's office. This office can usually be found in a county building that houses records. In very small counties, the office may still be in the county courthouse. Large counties may have ownership data available online. Check this out before making the trip. Give the assessor's clerk the address and ask for the current owner and owner's address. Usually this will be provided at no cost. It is a public record and available to everyone. Do research via the telephone book or online to obtain the homeowner's telephone number. There are many websites that provide phone book listings for people, such as Whitepages.com. The owner may not necessarily live in the house in question and it may take a few tries before you reach the right person. If you are unsuccessful in finding the right contact information for the owner, knock on the door of the house in question. A renter would be able to give you contact information or it could be owner-occupied. Contact the owner and ask if the house is for sale. If there is no sign and the owner says yes, ask if the home is in foreclosure. Owners tend to be very interested in selling if they are in a strained financial state and will be quite forthright with the information. Offer to do a short sale. This is buying the house for what the owner owes the bank or mortgage company. The owner will have to contact his bank to see if the bank is willing. Subscribe to a service that identifies foreclosed homes in your area. This can be done online or through mailers sent to you. Using this kind of service can help distinguish house status of homes in your area. Most of these services charge a fee. Foreclosure University: Where do you find foreclosure properties? Nelson, Robyn. "How to Find the Status of a House." , https://legalbeagle.com/5888012-status-house.html. Accessed 20 April 2019.